Gone are the days when a lock on the door and a key in hand were the best bet for security through locking systems. In these systems, anyone with the key used to get access. If keys are lost, then the locks were to be replaced as the only solution. Otherwise, duplicate keys were to be made, but the risk of the lost key falling in wrong hands was always there. In these old systems, if there were large no of locks then the user was supposed to carry the whole key pack. the door. The matching data of card is uploaded on card reader also. a. Increase safety and security. Keep a tab on unwanted and uninvited visitors. b. Access the full control over who enters and exits your premises. c. Secure workers, guests, familiars and confidential information. Ease the administration. d. Low running and maintenance cost. e. In commercial applications, it reduces time-sheet procedures. One can also integrate these systems with HR systems; it will facilitate thorough observation and data management. f. With surveillance camera systems increase security in certain areas of the property. Our Locksmith offers a wide range of other facilities and equipment concerning control systems to protect your investments and assets. Most common and effective type of control unit is keypad systems. It consists of a terminal with a set of numbered buttons. 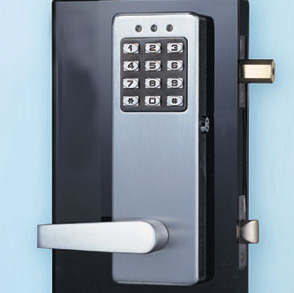 The door can be connected with lock release mechanism through a control unit incorporated into the protected zone. Entrant needs to enter a confidential code number which can be accommodated as an individual unit or can be integrated into an Intercom. The merit of this technique over the magnetic swap cards is that the card needs not to be in bodily contact with the card reader. Just hold it at 100mm distance and let the reader do its job. It is more reliable, durable and user-friendly. This technology takes the measures of safety to the highest level. Here geometric patterns of the user such as retina, hand, and fingerprint work as the password. hardware suppliers to ensure that the best systems are installed at your premises. I was unaware of ACS until I did some reading. These guys hooked me up and I couldn't be happier. Too many times I've called on a service and they were complete bunk. NOT this time! Thank you guys for restoring my faith! Install went great. Quick and painless. Wish I had known about ACS years ago! Anyways, these guys came, they saw, they conquered. Great installation! These guys installed an Access Control System on our office building and it's pretty darn cool. Safe and secure! 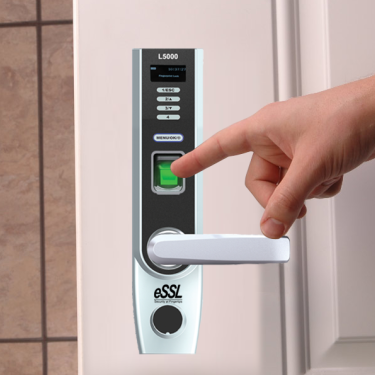 There are many advantages of having Access control on your business. I now feel much more secure with my ACS and I have these guys to thank! Installed, explained, out the door. All this in an hour. Big fan! Called these guys inquiring on installing an ACS on my business and they were very helpful, vocal, and answered all the questions I had. I hired them on the spot and they installed my ACS beautifully with no issues, and fast too! I will definitely hire them again.